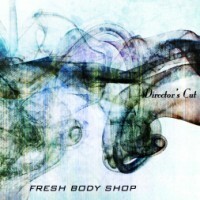 Eight albums released online, three features here in Frostclick and the French boys from Fresh Body Shop are back with a brand new album. Of course, it’s available for free download as well so you ladies and gents can still enjoy great music from this amazing electronic, alternative rock group. Following the footsteps of their 2010 release, Directors Cut; Bring Me Down is a 9 track compilation that’s filled with the resident beats Fresh Body Shop has come to own over the years. There’s still that resident Reznor-esque vocals; the pop electronic alternative sound and the super catchy melodies. Bring Me Down is an upbeat electronic pop record that’s certainly worthy of your lovin’. Opening with its title track, listeners are greeted with Pedro’s memorable vocals. It’s enveloped with poppy electronic beats and a super catchy melody that makes you want to do some awkward, jerky movements every now and then. When checking out the record, make sure to not miss this one. On the other hand, Spaceship, is a beautiful upbeat cut that mixes a poppy sound with synth samples. Welcome Sinner, is perhaps the track most identified as industrial pop. This one is also a personal favorite and seems like the perfect cut to play on a cool house party. Out of all the songs in the record,the last two, Mr. Sunday and Next Home, adds a nice change in tempo being both slightly slower than the previous tracks. The nice thing with the group is that they’ve certainly proven they can churn out catchy pop beats yet effortlessly switch gear as well if they want to. Overall, if you’re a fan of the band since before, then this record would be a perfect addition to your Fresh Body Shop compilation. Production quality is top notch. Lyrics and vocal work is definitely worth checking out as well. Something you shouldn’t miss out.